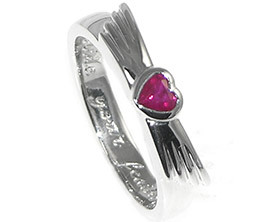 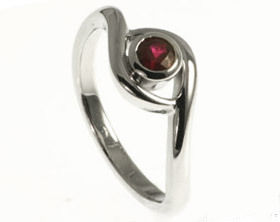 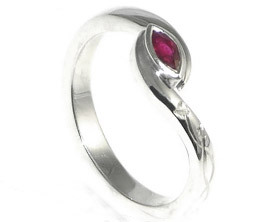 A hand-finished, unique recycled 9ct white gold engagement ring with a 6x4mm (0.77ct) fairly traded cabochon cut ruby held in an end only setting. 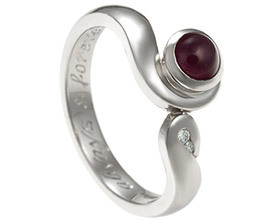 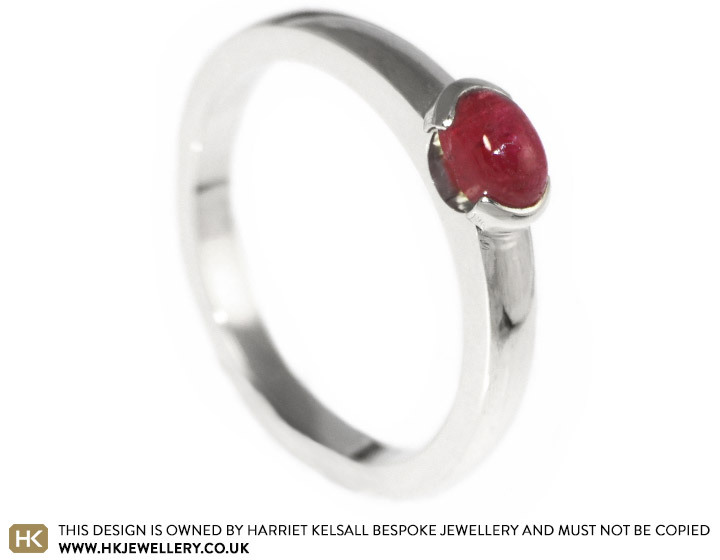 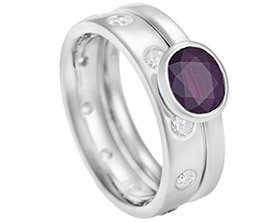 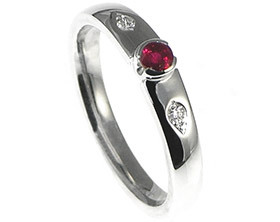 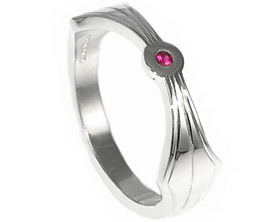 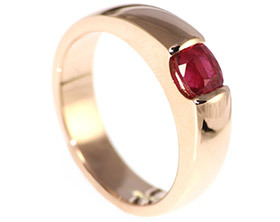 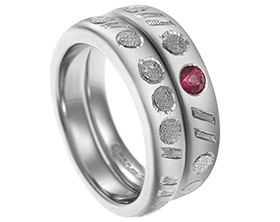 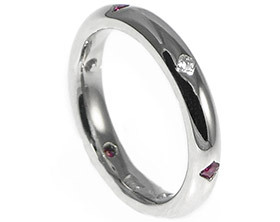 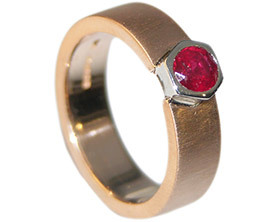 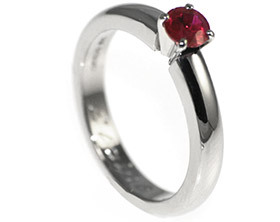 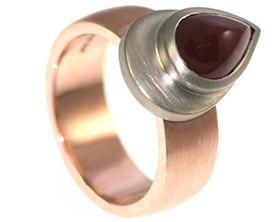 The 3mm wide band has a D-shaped profile and a polished finish to highlight the beautiful colour of the ruby. 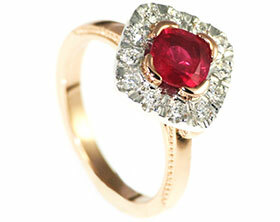 A poppy inspired marquise cut deep red ruby engagement ring. 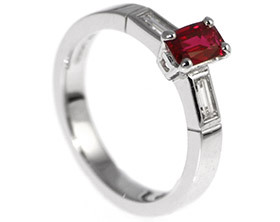 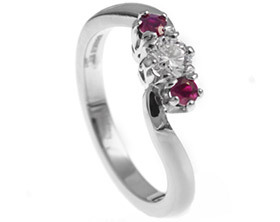 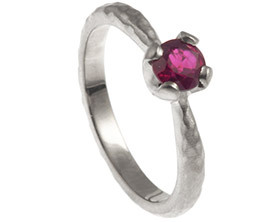 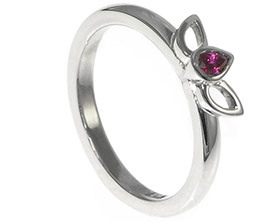 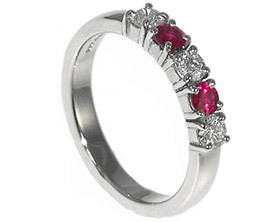 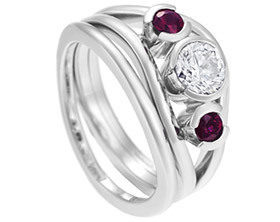 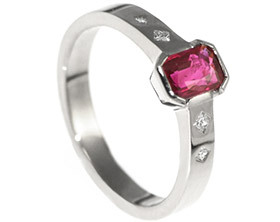 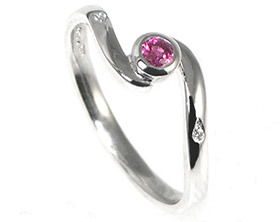 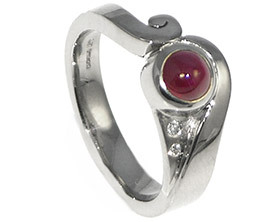 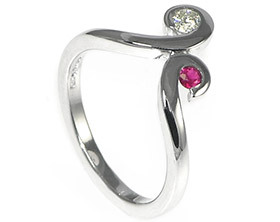 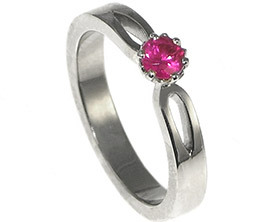 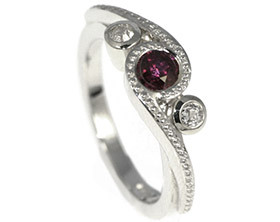 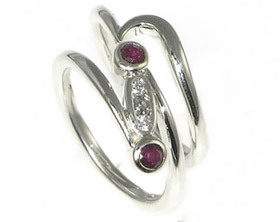 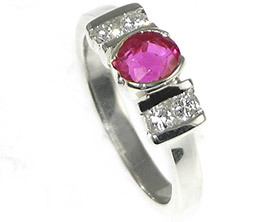 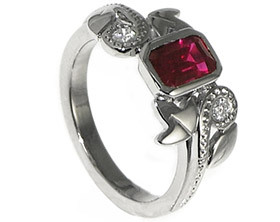 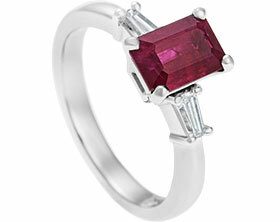 A delicate 9ct white gold ruby and diamond engagement ring. 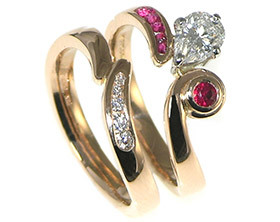 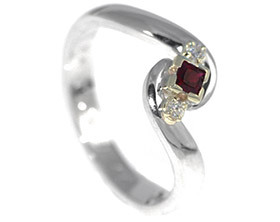 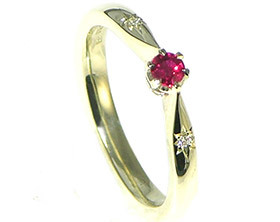 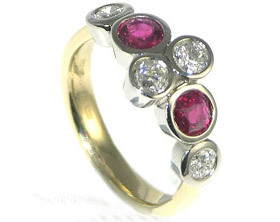 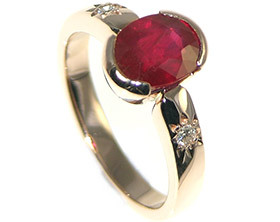 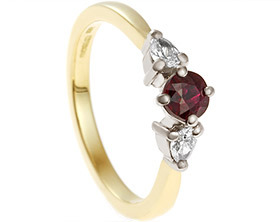 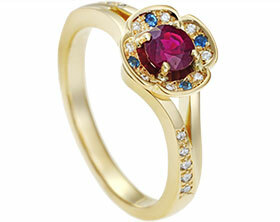 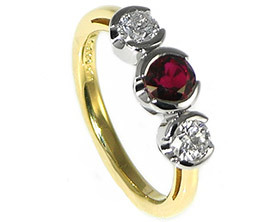 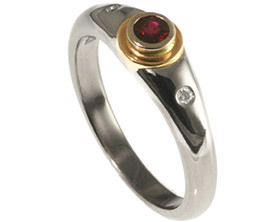 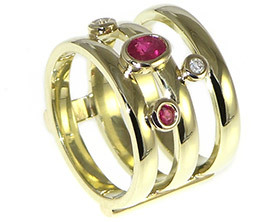 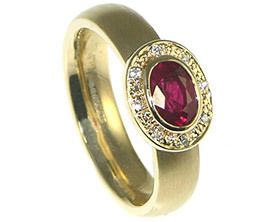 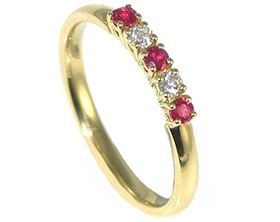 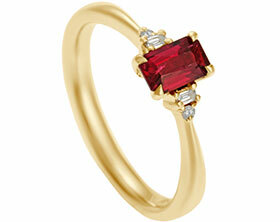 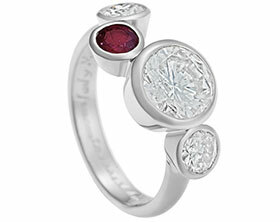 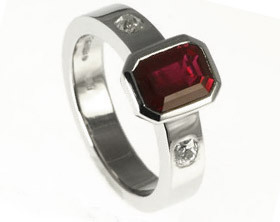 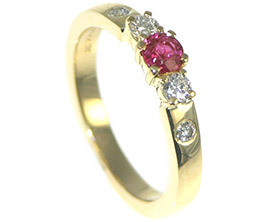 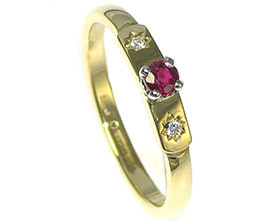 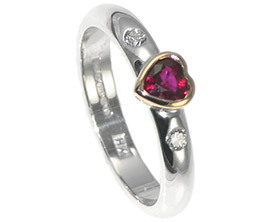 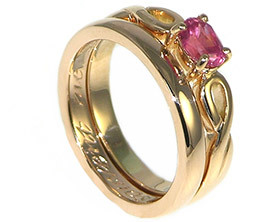 Gold, ruby and diamond 18ct gold and platinum engagement ring. 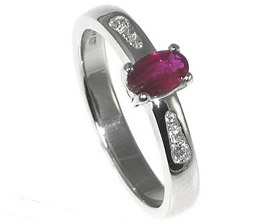 Platinum engagement ring with ruby and customers own diamonds. 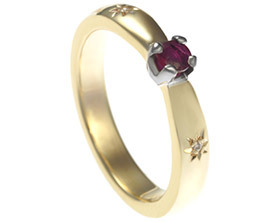 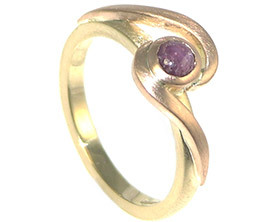 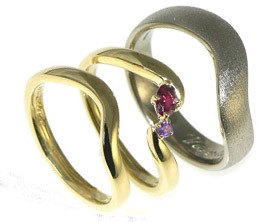 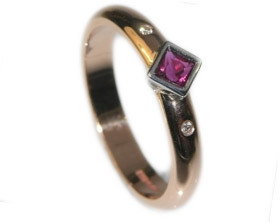 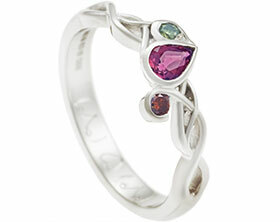 Wedding and engagement rings with a ruby, diamonds and amethysts. 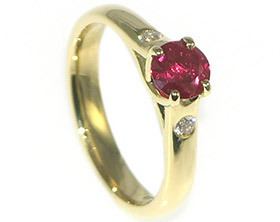 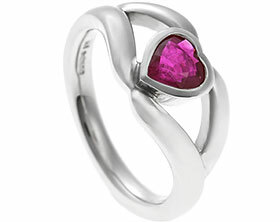 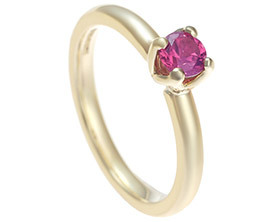 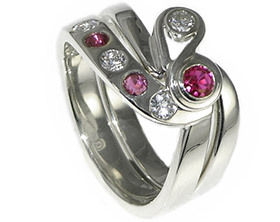 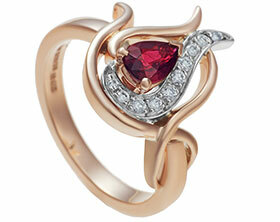 18ct rose, yellow and white gold ruby engagement ring.